It gives us immense pleasure in welcoming you to this 30th annual general meeting of your company. We would like to express our warmest greetings and thank you most sincerely for your continuous encouragement, faith and support. On behalf of the board of directors, i thank you all for your kind presence with us today. The year 2010-11 has been extremely eventful for Arshiya, the highlight being the commencement of operations in india's first free trade and warehousing zone. Your company also witnessed robust growth in its other business verticals translating into a strong set of numbers. I would like to present to you the highlights of your company's performance during the year gone by. The year 2010-11 has seen top-line growing by 56% to rs. 821.52 crores from rs. 525.89 crores and ebidta growing 80% to rs. 160.84 crores from rs. 89.12 crores. At the 2 bottomline level your company has generated pat of rs. 82.01 crores in fy11 as against rs. 98.31 crores in fy10 which included income from the sale of software marketing rights of rs. 38.89 crores. Leveraging on its 11 year legacy of core asset-light logistics services which include freight forwarding, supply chain management etc., your company has successfully established its infrastructure platform which represents natural forward integration and value addition to its core logistics. The rail business which was the first of its infrastructure projects to go operational in feb 09 has contributed about 20% to topline versus 9% the year before. The ftwz has also received a phenomenal response from diverse sectors ranging from the fmcg and pharma sector to electronics and engineering. Thus, along with a continued growth in its core business, its relatively new asset based businesses are making their mark. Your company also has strengthened its complete focus on india and the integrated logistics which is surrounding its infrastructure investment are potential captive opportunities to its core logistics business. Your company has announced consolidated total revenue of rs 222.60 crores for the quarter-ended june 30, 2011 as against rs. 176.95 crores in the corresponding period last year; thereby registering an increase of 26%. Consolidated ebidta for q1fy12 was rs. 54.18 crores as against rs. 28.28 crores in the corresponding quarter of the previous year thereby registering a 92 % increase. Consolidated net profit for the quarter ended june 2011 also increased 43% to rs. 23.63 crores up from rs. 16.47 crores. 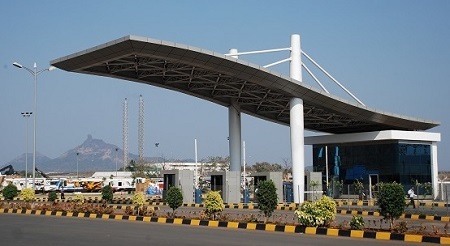 Whilst your company is operating the mumbai ftwz successfully over the last few quarters and concentrating on customer acquisition and service excellence, it continued to focus on delivering its other infrastructure projects. In the coming quarter, your company would be ready to launch its integrated infrastructure project in khurja, which includes the first phase of a free trade and warehousing zone, a domestic distripark and a private rail terminal. This ftwz in khurja will be in a 4 position to leverage the customer base developed in the mumbai ftwz and will also stand to gain from the operational expertise acquired there. These two ftwzs, one in the west which is in proximity to india's premier container port and the other in the north located strategically near india's manufacturing hub, integrated with the rail terminal will drive volumes and enable your company to become a force to reckon with. This would in turn also provide a strong impetus to its freight forwarding and logistics business. Having successfully operationalized phase 1 of the mumbai ftwz over the last few months, your company has begun construction of phase 2 of this project. On the rail infra front, out of the 30 rakes planned in phase 1, 15 rakes have already been acquired and the rail terminal in khurja will commence operations in the coming quarter. This entails a total spend of rs. 3652 crores. The actual spend as on 30th june 2011 is rs. 2169 crores, the debt portion of which is rs. 1390 crores and the balance rs. 779 crores is by way of equity. To further its goal to being india's first and only truly integrated supply chain and logistics infrastructure solutions provider, your company has added its newest vertical - Arshiya transport and handling (at&h). This entity will focus on providing world class transportation and handling infrastructure and services to internal as well as external customers. 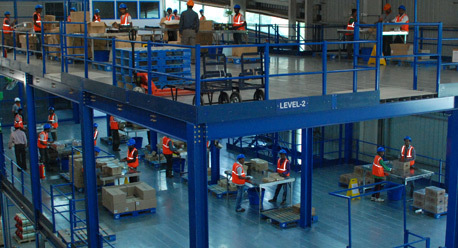 It is designed to extend Arshiya's integrated value offerings by providing owned or through established contractors, quality 6 handling and transportation equipment like reach stackers, various types of cranes, forklifts, double/tri axle trailers and other mechanical handling equipment at different locations for handling operations and first and last mile connectivity. Your company continues to derive global expertise, valuable advice and guidance from eminent members of the company's board of directors and also that of the global advisory board which play a crucial role in formulating Arshiya's corporate strategy, operational benchmarks, expansion plans, branding initiatives and sales strategy. During the year 2010-11, your company was honored with five prestigious awards for its contribution to the logistics industry in india. Cidc (construction industry development council) vishwakarma award in the category of 'achievement award for best project - urban infrastructure' for the development of ftwz in india 7 awarded by construction industry development council, an organization jointly set up by the planning commission of the government of india & the indian construction industry private rail operator of the year' awarded to Arshiya rail by gateway awards of excellence: supply chain management & logistics 2011 for its innovative services and outstanding performance in private container train operators domain emerging rail operator of the year' awarded to Arshiya rail by express logistics & supply chain (elsc) group 'best performance' awarded to Arshiya supply chain management for its contribution and pivotal role in supporting the exponential growth of somany ceramics ltd. emerging company & visionary of the year' award given to Arshiya Limited for its unique integrated model and thought leadership in the industry by the maritime and logistics awards (mala). Arshiya's mumbai ftwz began operations in december 2010 and has catapulted into a substantial revenue generator for your company. The zone is presently servicing international as well as indian companies across industries such as automobile, it hardware, wine and spirits, trading, consumer electronics, retail, chemicals, glass, cosmetics. 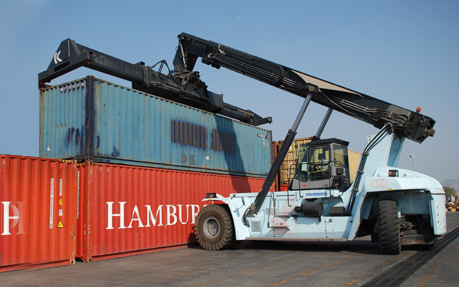 The ftwz also services customers such as 3pl (third party logistics) service providers, shipping lines, cha's etc. I take pride in ifnorming you that your company has a very strong customer base and an active pipeline of customers currently across various sectors. Every customer that enters the ftwz represents to your company a captive opportunity for up sell and cross sell for its services. Thus quite often we have the same customer using multiple assets and each touch point translating into a source of revenue. Singapore, dubai and china represent economies in which free trade zones have been game changers for their development. While singapore and dubai are just transshipment hubs, they lack the domestic consumption base and manufacturing capabilities to take their economy to the next level; whereas india 9 with its population, domestic market, manufacturing capabilities and export potential is much suited for exponential growth. What it requires is integrated logistics infrastructure such as free trade warehousing zones, domestic distriparks and rail infrastructure. Arshiya rail infrastructure is the second largest private container rail operator in india providing unique and customized solutions to marquee customers with long term contracts. Over the last ten quarters, Arshiya rail has added 15 rakes, servicing customers pan-india, with a planned induction of 150 rakes in the next five years. Your company's human resource agenda for the year is focused on strengthening five key areas: building a robust talent pipeline, creating succession planning, enhancing individual and organizational capabilities for future readiness, driving greater employee engagement and strengthening employee relations further through progressive people practices at all levels. Your company is widely acclaimed for its people development practices and has further reinforced its position in this area in 2010-11. The company adopted an integrated performance management process that builds greater stretch and alignment in targets across the organization with greater focus on development planning and performancelinked reward for employees. Arshiya recognizes people as the primary source of its competitiveness, and continues to focus on people development by leveraging technology and developing a continuously learning human resource base to unleash their potential and fulfill their aspirations. The human resources team has been continually focusing on the means to achieve the company's goals of meeting such growth targets through external recruitment & right skilling and by improving the capabilities of existing people through people development initiatives. Your company continues to invest in information technology, leveraging it as a source of competitive advantage. The enterprise-wide sap platform forms the backbone of information technology and encompasses all core business processes in the 11 company and for collaboration with its suppliers and customers. Information technology provides a comprehensive data warehouse with analytics capability that helps in better and speedier decisions. Supply chain optimization, enabled by the it capability remains a source of significant value. The mumbai ftwz at sai village, panvel has a 24x7 emergency fire fighting vehicle inside the zone managed by trained personnel. This service is available to the residents in the vicinity of sai village and panvel area, free of charge. Also stationed in the premises is an emergency ambulance whose service is available to the local 12 population free of charge through a toll free number. As part of its initiatives your company also organized a blood donation camp in liaison with mahatma gandhi mission (mgm) hospital, vashi in july of this year; wherein over 500 employees donated blood to the hospital thus resulting in the collection of over 101 units of blood, which will be used by the hospital across its branches in maharashtra. Your company supported a novel initiative by school children based in mumbai, for providing solar lamps to villages at a subsidized rate. Under the program titled eve - empowering village everywhere, portable solar lamps were provided to villages where electricity is not available. At Arshiya, we have pledged to join hands with eve and support them in this initiative to help 'light' lives of our citizens. At present, majority of product hubbing and value addition is done in dubai and singapore. 70-80% of this value addition is done for products meant for the indian market. Compared to dubai or singapore, india is a much larger market for product consumption 13 and is an emerging manufacturing hub. India has tremendous advantages in terms of cost and skill arbitrage vis-a-vis dubai and singapore. Due to its strategic positioning, india is much better suited for being a trans-shipment, value addition and global distribution hub. What we need to realize is the true potential of our economy is in thinking innovatively and to provide logistics infrastructure to mitigate unique challenges we face as a geography. This will have direct impact on sustaining the fast pace trajectory of our economy, generate investment and create new employment opportunities. With the entire envisaged infrastructure in place, your company will be the only integrated logistics service provider with the assets and service to back it up and thereby capitalize on this mammoth opportunity. This is because we are integrated in a manner where each one of its businesses, though are separated and are accounted for separately, they all come together seamlessly for offering end-toend service to a customer. One of the biggest challenges the indian economy faces today is the need for logistics infrastructure such as free trade warehousing zones integrated 14 with roads, rails, domestic distribution hubs and ports. Similar logistics infrastructure has led to success stories for economies such as singapore, dubai and china over the last few decades while india due to lack of such infrastructure has been comparatively slow in realizing the benefits. The need of the hour for india is therefore to dream audaciously, plan meticulously, execute seamlessly and operate flawlessly. While india is taking its time, Arshiya will show that 'there is a way'. I thank you all for your continuous support and goodwill for Arshiya.